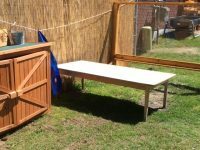 Our outdoor space is unique because it has a porch off the back of our school. 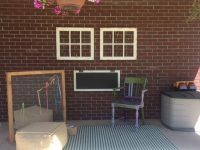 Under this porch is our Gathering Area with a magnetic chalkboard, large area rug, weaving loom, outdoor pillows and ottomans for the children to enjoy. 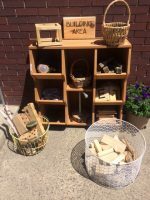 Next to the porch is our building area filled with various wooden blocks and shapes to explore. Another unique feature of our classroom are three hills! These hills are a favorite of our children, as they love to roll themselves, dump trucks & balls down them. At the bottom of the first hill, you will find our Messy Materials Area. 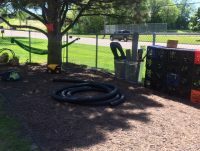 This area contains items including: tires, milk crates, birch logs, boards, tubing and wood rounds. The children very much enjoy collaborating and constructing in this area. Next to our Messy Materials is our Music and Movement Area. 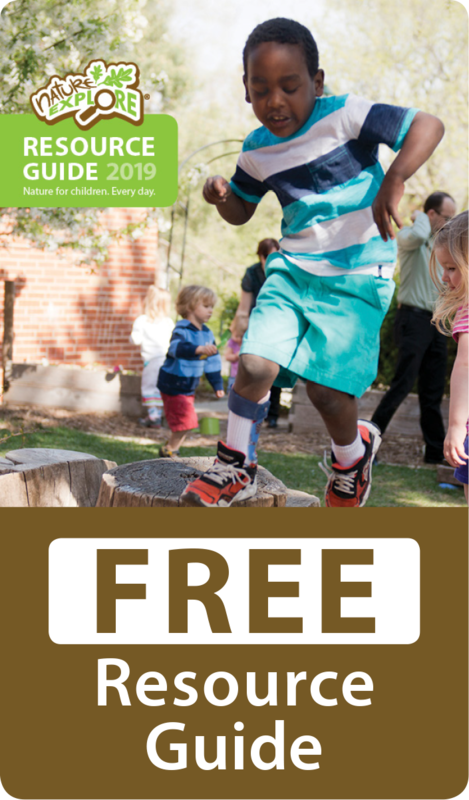 This includes a large stage for children to perform for each other. They enjoy playing instruments and dancing with scarves and ribbons. We plan to have a bucket drum fence installed by the end of summer. Our gardens are beside the stage and the children have already decided what they would like to grow this season. Currently they are starting seedlings in the classroom to transplant in the next week or two. They plan to hang planters on the fence and hope to experiment with an assortment of vining plants too. 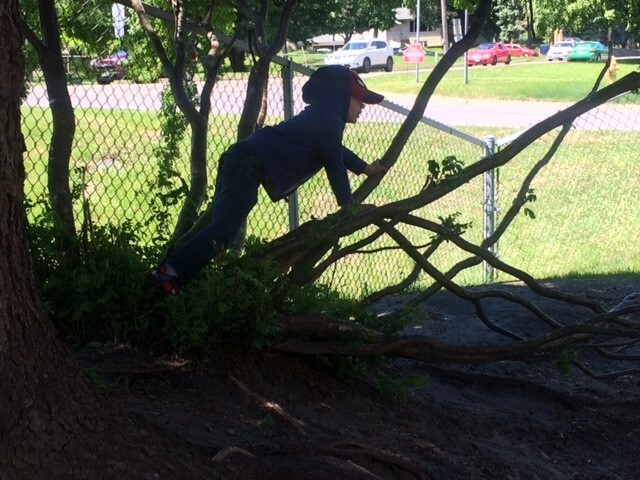 The climbing area of our outdoor classroom consists of a tree that has grown sideways out of a hill, as well as a metal climber for the children to climb on. 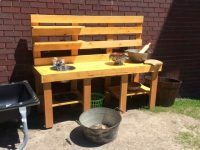 A few other special features of our space include tires filled with sand and rock for small world loose parts play, as well as a mud kitchen.